Never Leave Your Music Home Again! Big Sound! Ultra-portable! Powerful and Fun! Its all about the BASS! Main BenefitsThe Opera Bluetooth Ultra-Portable Wireless Speaker by SoundBasics delivers high fidelity audio streaming when used with any compatible device for an outstanding listening experience. The Opera is a two-sided speaker with two active 5 watt front speakers and dual passive subwoofers on the back delivering stereo rich sound. The Opera looks and feels as great as it sounds. With its high quality construction and industrial strength molded casing, it is more than just a pretty package. You will never call this speaker tinny sounding with its rich bass! This speaker rocks! SoundBasics has created a sturdy and well crafted device that is built to last. SoundBasics high definition speakers will play your music clearly, allowing for big sound out of a small form factor. The precision, full-range drivers make it ideal for outdoor parties, beach trips, or any activity where you want your music to be heard. Key Features - Two (2) 5 watt, 40 MM speakers delivering crisp clean sound - Two (2) passive sub-woofers delivering deep bass - Stream music, movie, games - Simple Bluetooth pairing with vocal confirmation - Go up to 10 hours on one charge - Built-in 3.5 Aux in-jack to use with any device - Built-in 3.5 Aux out-jack to connect to another speaker system - Hands free speakerphone with SIRI integration - Battery icon visible on your Device Enjoy your Opera Ultra-Portable Wireless Bluetooth Speaker by SoundBasics worry free with a full year guarantee on parts and labor. Never pay twice or three times the money for a great sounding portable speaker again!KEEP YOUR DISTANCE ★ Easily Connect All Bluetooth Enabled Devices (iPad, iPhone, Tablets, Desktops, Laptops, Android) Up to 30 Feet AwaySTEREO SOUND ★ Two 40MM Frontside Speakers with Two Backside Passive Sub-Woofers, It's all About the Bass!PORTABLE SURROUND SOUND ★ 3.5MM In/Out Ports Connect to Other Bluetooth Speakers or Your Home Stereo SystemRECHARGEABLE BATTERY ★ Up to 10 hours of Clean Crisp Sound Quality Per Charge, with Viewable Battery Level IndicatorNEW IMPROVED VOICE PAIRING NOW AVAILABLE ★ Reduced voice pairing level and start-up level! You Spoke, we Listened! Buy Now with Confidence..
Take the Music with You Wherever You Go... Get iFox - Then prepare to WOW and be WOW'd! Want to make sure your tunes are at your fingertips... but don't want to lug around oversized, bulky speakers? Then the iFox is the answer for you. We've carefully engineered the iFox Bluetooth Speaker to deliver jaw-dropping sound... with easily adjustable volume. In fact, you'll be amazed at the impressively loud, exceptionally clear sound from this fully-loaded speaker. You have to experience it to believe it. You get NFC and Wireless Bluetooth streaming from all of your devices... and, of course, you can always connect your device via a 3.5mm jack. Why Do People LOVE the iFOX? Compact Size - With a sleek design that fits in your bag, backpack or jacket pocket! Whether you're at home, on the road, at school, on a camping trip or backyard BBQ... you'll always have your tunes! Rich, Loud Sound - This speaker is built for sound! This 6 watt, 2 channel stereo speaker delivers the clarity and volume you need to not just listen to music... but to truly feel it! Versatile - Connect your audio source to iFox via Bluetooth, NFC or AUX. Also works with Mini-SD, a USB and has a superb FM radio tuner built in Long Battery Life and Fast Charging - iFox's 2000mAh battery allows you to enjoy up to 10 hours of music per charge. And when it's time to power up, connect the charger, and your speaker will be ready in just 2-3 hours! Impressive Range - With iFox, you can wander up to 33 feet away and still keep the tunes alive! Protected with Our 1-Year Money-Back Guarantee! Get Your Hands on Your iFox Today! Don't take our word for it - discover the iFox for yourself risk-free! Order today... and while you're at it, pick up a couple to give as gifts!CRISP, CLEAR, JAW-DROPPING SOUND - And great looking too!! This 6 watt, 2 channel iFox portable speaker packs a real punch with great bass and amazingly crisp sound even when the volume is up full. Great for easy listening or to crank the party up with the booming sound you'd expect from a boombox!VERSATILE INPUT + SPEAKERPHONE - Fully loaded with 6 functions - Switch between Wireless Bluetooth, Mini-SD/TF, FM Radio, USB and AUX in less than 6 seconds... or use the iFox as a speaker for that important phone call! You can easily control songs and adjust the volume at the speaker. And your portable devices will connect to the iFox from up to 33 feet away!DURABLE, TOP-QUALITY CONSTRUCTION - CE/FCC/ROHS Certified for quality components and reliability... plus rugged construction. Ultra portable so you can carry it to the kitchen, garden, car, beach, pool, boat or campfire and get the party started wherever you go!INCREDIBLE BATTERY LIFE - No more scrambling for the charger - With a powerful 2000 mAh rechargeable battery the iFox lasts for up to 10 hours playing time between charges. Plug it into the adapter, and it's fully charged again in under 3 hours!100% MONEY-BACK GUARANTEE FOR 1 FULL YEAR - You're taking on absolutely NO risk - use the iFox Bluetooth Speaker for 12 full months - if you don't like it, for whatever reason, we'll replace it or refund every penny of your purchase price!.. 10 watts (20 When Paired) of pure tonal bliss. 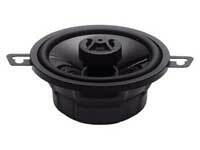 Behind the MATE's sleek black grille rest two 52mm 5-watt high-fidelity speakers featuring NdFeb drivers. These are precisely calibrated for impeccable tonal clarity and high performance at every frequency. From music to movies and beyond, each BÖHM MATE delivers 10 watts with more punch than that of more expensive rival speakers. Thanks to an advanced BlueCore Bluetooth 4.0 chipset, all this quality sound consumes little power, affording the internal battery as much as 18 hours of playback per charge. Another nicety: The speaker's battery level indicator appears on iPhone, iPod Touch and iPadAdvanced BlueCore Series Bluetooth 4.0 Chipset Ensures High Fidelity AudioDuoLink Technology Pairs 2 BÖHM MATE Speakers for Wireless Surround Sound4,400mAh Li-Ion Battery; Low Power Consumption Offers 18 Hours Per ChargeNFC Chip Speeds up Connecting; Thermal Sensor Activates Backlit ControlsUSB Charging Cable, Wall Power Adapter & 3.5mm Auxiliary Cable Included.. The KFC-P709PS is a 6.5inch Component Speaker System Featuring an Injected Polypropylene Cone with Diamond Array Pattern and an Advanced Crossover Network.80W Rms 4_ Imp Freq Resp: 63 Hz-24 Khz63Hz - 24kHz Frequency Response280W Peak Input Power1" Swivel Dome TweeterInjected Polypropylene Cone with Diamond Array PatternAdvanced Crossover Network.. Fanatics that need a great sounding speaker to replace factory installed garbage will certainly benefit from this Punch series full-range speaker. The P1694 offers a Flex Fit basket to ensure compatibility with odd-shaped factory speaker locations, and an ICC (Integrated Concealed Crossover), eliminating the need to mount any black boxes. Whether you're looking for a full on component speaker system or a simple pair of coaxes to upgrade your OEM system, Punch speakers will make your ride sound sweet. With 15 models to choose from, Rockford's got one in your size and price range! The Vertical Attach Surround Technique significantly increases a speaker's effective radiating cone area without complicated installation issues. The result provides up to 25% more effective radiating cone area for the same model speaker. Punch speakers will make your ride sound sweet. 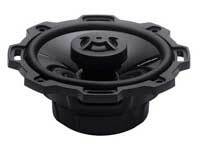 Rockford Fosgate products have been designed and engineered in Tempe, Arizona since the beginning. Rockford's 30 year reputation is grounded in engineering and manufacturing some of the finest audio products in the world. The company's no-compromise approach has yielded patented iconic products such as the Punch EQ, Punch 45 amplifier and the 3Sixty integrated signal processor. Today, Rockford's new products push the performance envelope even further. Each new product is a step forward--they sound bigger, they play louder, and run longer. Rockford never settles for "good enough." The 2010 product line represents the company's core philosophy. Rockfords new amplifiers, speakers and subwoofers have raised the bar on the competition. 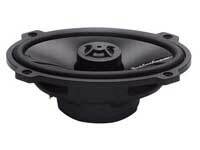 If you need more speaker, sep up to the Power Series T1693. On a tighter budget? Consider the Prime Series R1693.